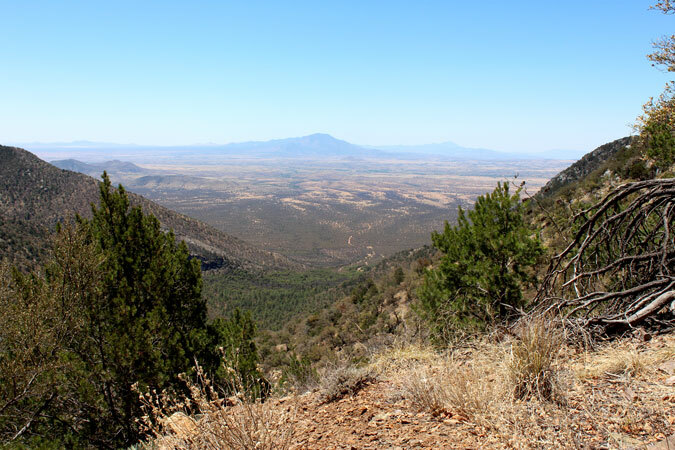 The view in the photo above is to the south from the mine dump of the Ida Mine (Western Tungsten Mine?) 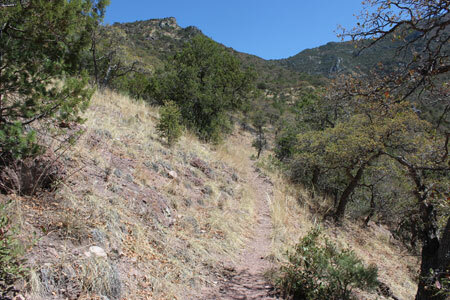 located high on the side of Ida Canyon in the Huachuca Mountains of southeastern Arizona. The valley in the distance is the San Rafael Valley and the far mountains are in Mexico. According to a Minerals Resources Appraisal of the Huachuca Mountains written in 1991, there were three inclined shafts at the old mine. Lead, Silver, Tungsten and Copper ores were apparently shipped from the mine during the early 1900's. The period of greatest production may have been during World War I. 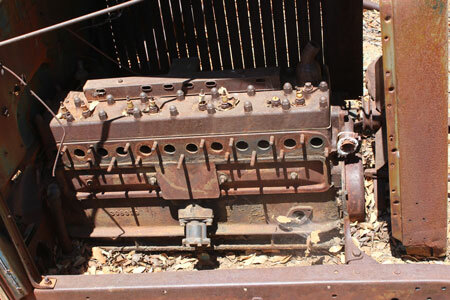 An automotive engine at the mine manufactured in 1930/1931 indicates that there was at least some interest in the property after that war. The area around the mine is surprisingly clean with very little mine "trash". There are two pieces of equipment that were quite interesting. 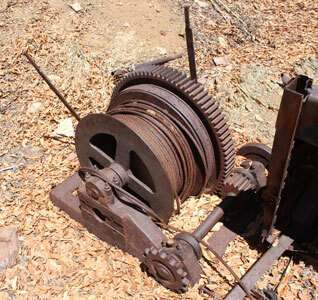 One was a small winding machine that looked to be very complete, and the other was the old automotive engine/transmission unit that may have been used to power the hoisting apparatus. 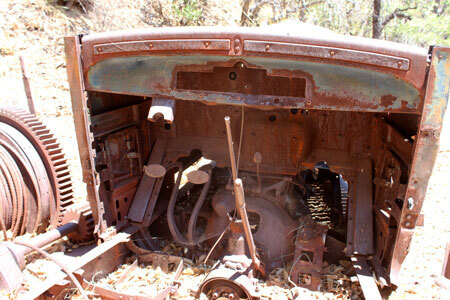 A look under the hood of the old vehicle revealed an engine that I did not recognize. 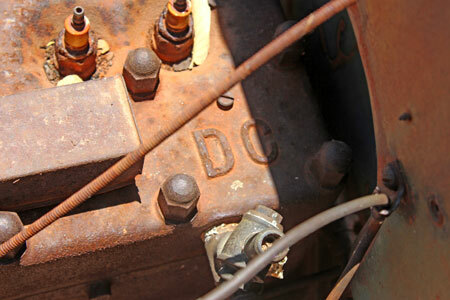 A Google search of " DC Inline 8 cylinder flathead engine" identified the manufacturer as Chrysler. DC engines were used in 1930 and 1931 Dodge Brothers cars and were produced in 8 cylinder, 4 cylinder and 6 cylinder versions. 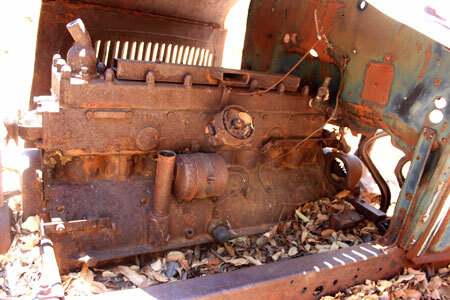 The DC 8 cylinder engines were apparently used in several different models of the early Dodges. 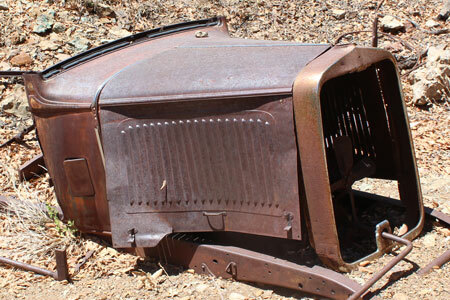 Photos of the dashboards and hoods of restored 1930 Dodge Brothers DC 8 Sedans seem to match pretty closely those features seen on the old Ida Mine Car. 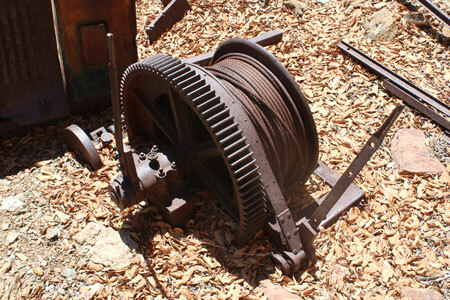 The winding machine looked to be pretty complete with cable still wound on the drum. It was set-up to be chain driven. 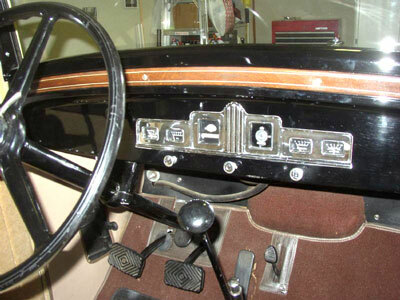 Exactly how the machine would have been connected to the output of the transmission on the old engine was not evident. A chain could not have been run between the two pieces of equipment with their current alignment. 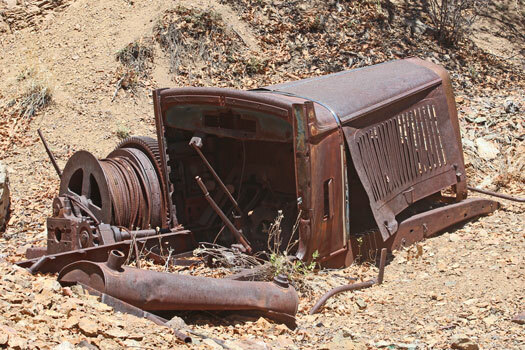 And how did the machinery get to this old mine site? There is no sign of a road. 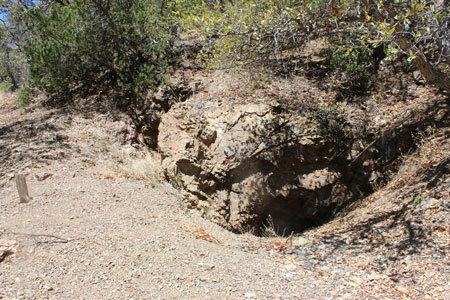 The Minerals Appraisal reported that there were 200' of workings to the old mine. The one open shaft while inclined, is too steep to enter. 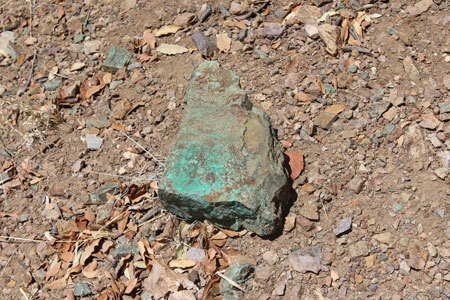 Copper bearing minerals are very evident on the dump. 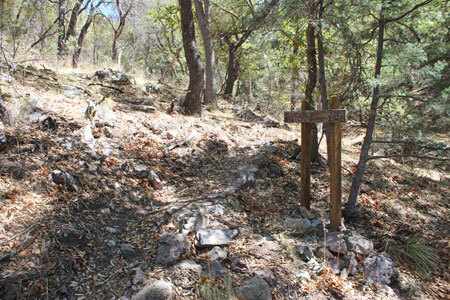 The hike into the old mine is best accomplished on the Ida Canyon Trail whose trailhead is accessed from the Cave Canyon Road on the south side of the Huachuca Mountains.The Hiking Guide "Trails of the Huachucas" has specific directions for both the drive and the hike up to the mine. If the Cave Canyon road is not too rough for your vehicle, the hike will start at the left fork in the road about 1 mile in. From there, the wilderness boundary will soon be encountered. About 1/4 mile past the boundary, the foot trail takes off at a signed junction. I really enjoyed the hike. The tread was smooth and the gradient was moderate. 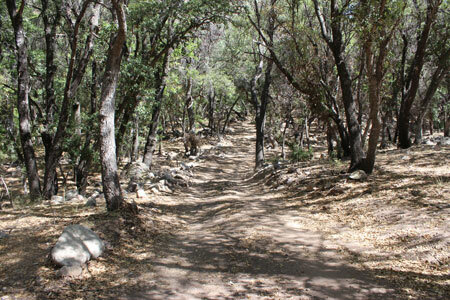 The trail was constructed with long switchbacks. There was not much shade above the bottom of the canyon, however. The mine was reached about 1.3 miles from the signed junction.